"Negotiations with the Indian side on the delivery of 48 Mi-17V-5 helicopters have been completed; we expect to sign the corresponding contract in the first quarter of 2018," CEO of Russia's Rostec State Corporation, Sergey Chemezov, told IANS in an interview. He also said that there is "serious modernisation potential" in the Mi-17 and Mi-8 choppers which was proven by the development of the Mi-171A2 helicopter. The sturdy choppers have been the Indian Air Force's mainstay in a number of humanitarian assistance and disaster relief operations. "Our helicopter meets all the requirements presented in the tender documentation, and its technical characteristics exceed our competitors. We already have a solution for the naval version of this helicopter with folding blades," he said. "If the Ministry of Defence of India selects the Ka-226T, India can save money significantly. Thanks to the project for joint production of helicopters, there are opportunities for joint maintenance, training of pilots and mechanics and other related costs," he said. He added that there will also be a scope to export the helicopters once India's requirements are met. 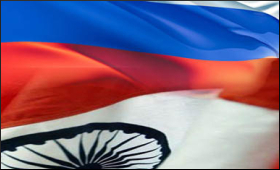 The Russian side has 49.5 per cent share, while India has 50.5 per cent stake in the Joint Venture which got Russian President Vladimir Putin's nod in April and was registered in India in May this year.